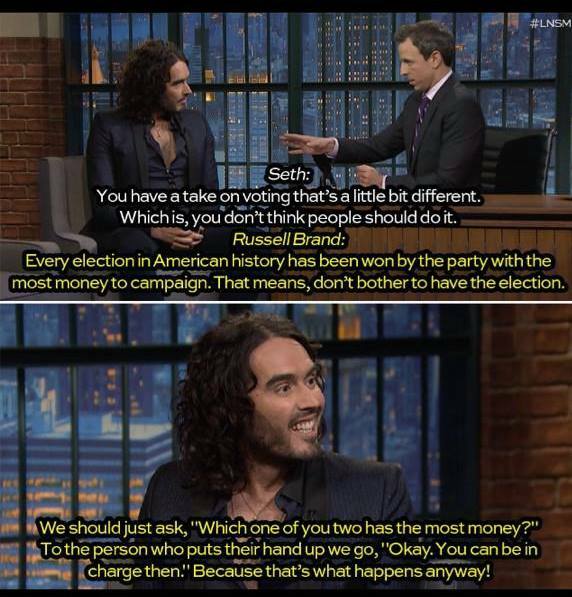 Every election in American history has been won by the party with the most money to campaign. Let's assume that he means every presidential election. Has every presidential election in U.S. history been won by the party with the most money to campaign? Edit: To make this question answerable, let's stick to elections recent enough where campaign financing is publicly available. The most clear example is 1964. The book references the statement to: Herbert E. Alexander and Harold B. Meyers, “The Switch in Campaign Giving,” Fortune, November 1965, 103–8. 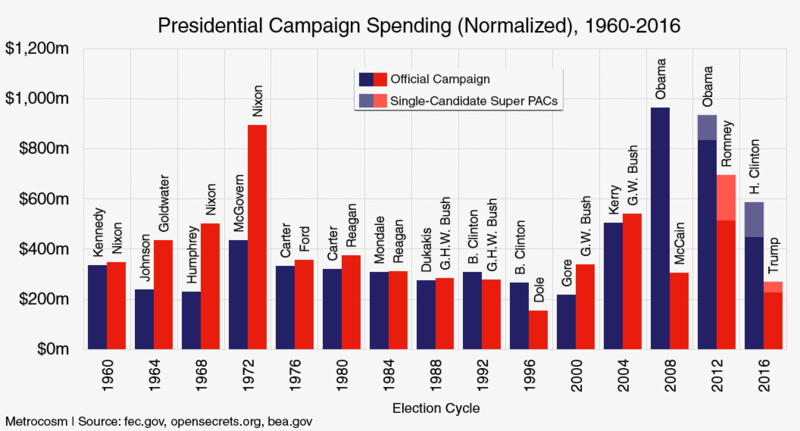 While there are a few other example in the list of the losing candidate spending slightly more, 1964 is the only clear example of the losing candidate spending significantly more. From another point of view, Ross Perot certainly could have outspent Clinton and Dole if he wanted to. The Federal Election Commission says Clinton 563.9 million, Trump 328.4 million. Has anyone been convicted of campaign finance violations by paying an informant before an election?